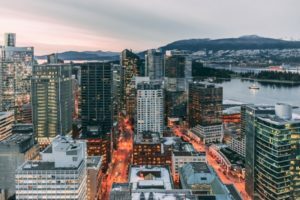 The beginning of 2018 saw an introduction of a new bill in British Columbia that will affect the real estate industry in the province. Since coming to power, the NDP party had made a pledge that it would review the real estate sector in British Columbia with an aim of bringing the prices down. This seems to have come to pass based on the new measures that the government is introducing. The new “speculation tax” is expected to apply to around 15,000 homes from Metro Vancouver, to parts of Vancouver Island, and Kelowna, for homes that are not lived in or rented out. Foreigners would pay 0.5% on the property’s assessed value in 2018 and 2% each year following. “The current tax on the purchase of a home by a foreign buyer will rise to 20 per cent.” (The Globe and Mail). Ideally, the government intends to raise taxes on foreigners who are buying properties in British Columbia in order to curb the demand for new housing in BC. By introducing new taxation measures, the government aims at reducing speculator appetite so that houses become affordable. A publication on Financial post indicates that according to the finance minister, the intent is to bring stability to the housing prices and increase the revenues so that these monies can go into developing affordable houses. Further, the Finance Minister noted that these are bold measures but cannot be avoided at the moment. 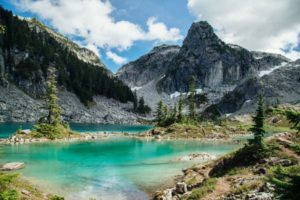 In this article, we focus on analyzing the sales prices and volume of sales in each of the cities within BC province. These cities include Vancouver, Whistler, Squamish, and Nelson. The main objective is to highlight the current trends in regards to pricing of homes and the sales volumes within the different cities. Vancouver is a city where you will see majestic mountains, have a view of the sparkling ocean, explore rainforests and lounge at the beach. Vancouver has a temperate climate and has all the amenities of a big city. Foreigners are especially drawn to Vancouver city. The upward trend in home prices has been blamed on the increased demand for properties by foreign buyers. Basically, the foreigners have shown increased demand for houses and therefore leading to rising prices. Data analyzed by Reuters indicates that foreign buyers focus on larger and more expensive homes in Vancouver. For the last five years, there has been a widening gap between the income levels and value of properties in Vancouver. The price of houses is high compared to affordability. Here is a screenshot showing the increased value of houses since 2016. The average value of a home built in 2017 in Vancouver and owned by a foreigner is averaged at C$2.5 Million and for the residents, the value is C$ 1.8 creating a difference of over 40%. As a result, those selling properties target the foreigners who have a higher buying power than locals. Consequently, the foreigners own only 5 percent of the residential properties but these properties are more valuable than those owned by the locals. The fact that Vancouver attracts foreign money makes it an attractive town for investors. However, this also comes with a drawback in that the attractiveness has led to the skyrocketing price of properties. The government has introduced additional taxation on vacant properties. The aim of this taxation is to ensure the foreigners pay tax if they buy properties and leave them unoccupied. Basically, what foreigners have been doing is buying properties and then leaving the property unoccupied with an aim of selling the property when prices go up. 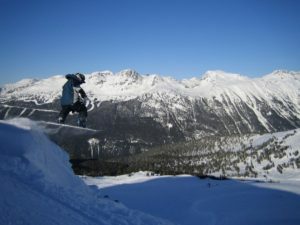 The amazing ski mountains of Whistler and great summer activities such as mountain biking and world class golfing, attracts approximately 2.1 million visitors per year most of them have liked the city on first visit. The city has accommodation for around 35,000 visitors a night. (https://trade.whistler.com/about/stats/). The city’s popularity with tourists has had an expected impact on the affordability of the houses for the locals. 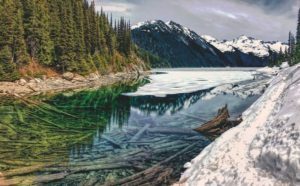 The real estate market in Whistler saw an appreciation in prices in the financial year 2017-2018. This places the city among the most expensive markets for property buyers in British Columbia. However, the sales volume declined despite the increased buyer interest. The stronger buyer interest contributed to the increased value of properties. Basically, the sales volume that was reported by the end of 2017 indicated a decline of over 16% compared to 2016 statistics. Over the same period, there was over 26% increase in the value of properties. In 2018, the average price of a single family home is $1,680,700. In early 2017, favorable exchange rate and lower interest contributed to increased buyer interest. 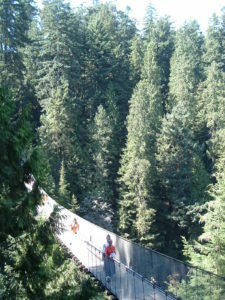 Another factor was the high number of foreign investors willing to purchase the properties in Whistler city. The buyer interest was mostly on family-oriented properties and townhouses. In Whistler, it is expected that the high buyer interest will continue to prevail. Unfortunately, the supply side cannot meet the demand. Therefore, one of the drawbacks is that prices will continue to rise. Therefore in 2018, the demand and supply sides will continue to play a huge role in the pricing of properties. As one of the cities with huge potential in BC, the investors are encouraged to conduct in-depth research before investing. The recently introduced speculation tax will not be imposed on speculators eyeing the Squamish market. It is, therefore, possible that more foreigners will come to the city leading to high cost of properties. However, there has been a new rule affecting the amount of mortgage that new purchasers qualify to get. Therefore, those who intended to seek financing might not afford the properties, a move that is likely to lower the demand. Abel Tasman national park and Nelson Lakes are the main tourists attraction points in Nelson city. 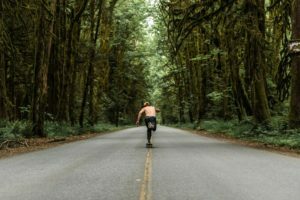 Nelson has so many shops, restaurants, and things to do, such as indoor skatepark and craft breweries right all in its walkable downtown area. It appeals to nature lovers with its beautiful lake and close proximity to ski mountain and hot springs. 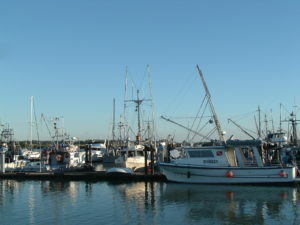 Nelson also has a rich arts scene with artisans of every sort being drawn to the lifestyle and beauty of this town. 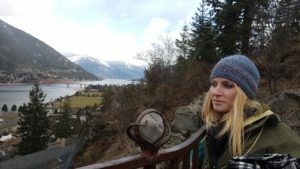 Many people emigrate across Canada, from cities like Calgary, Vancouver and Toronto, to live in the more affordable yet still bustling Nelson. Across the country, Nelson appears among the top 20% in order of real estate listing prices. 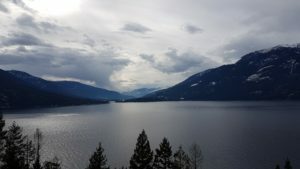 In Nelson, BC, the average price for a house is $469,450 which indicates an upward trend compared to three months ago. If you are looking for properties to purchase, Nelson is within the middle price range and has close to 300 available properties currently listed.